Please post your comments, questions, etc. below. Margaret, I just finished reading your research. I am completely admiring of the work you have done and it really sheds a great deal of light on this period of time in LRH’s life. I really like that you have clearly indicated what is and is not speculation and that you have compared the different interpretations of what records were available to various authors. I will also add that even though the subject matter is itself confusing, you have written it clearly and succinctly and that makes it possible to keep track of all the variations and difficulties along the way. Thanks Maria. Glad you found it helpful. Hello Margaret, I just finished reading your section about Hubbard’s WWII service and it encouraged my to do a bit of digging myself (i.e. a Google search). I found one of the standard pictures of L.Ron Hubbard in his Navy uniform, dated December 1943. You have a similar one at the top of the page on your site. Upon closer inspection, I noticed what looked like service stars on several of his medal ribbons. Are there more details concerning this, or am I just mistaken? If one were to stick to the the Navy’s list of Hubbard’s medals, he shouldn’t have service stars or a third darker medal ribbon (marksmanship ribbon or Purple Heart, maybe?). Can you shed some light on this, please? Good eye, John. I do believe you are right about the service stars (which, if confirmed, would add additional evidence that Hubbard’s official Navy separation document is incomplete). The whole area of Hubbard’s medals is one which I’ve researched some, but am still working on. One additional finding I’ve made along the way has to do with the service stars. As you probably know, receiving a “battle star” on the American Theater (now American Campaign) Navy ribbon from WW II typically meant that one served on a US Navy ship during the time in which it engaged in combat with an enemy submarine/ship (the specific eligible campaigns and areas of service are listed at http://www.history.navy.mil/medals/acsm.htm). Two stars would indicate involvement in two or more eligible campaigns. “[Lawyer]: Now you and Mr. Hubbard were never given credit for sinking or damaging any Japanese submarines; were you? “[Moulton]: I don’t know. There is something quite odd about that and I have never gotten to the bottom of it. I believe we were. “[Lawyer]: Well, Admiral Fletcher in his report never gave you credit? When I looked into Moulton’s service record (at least the parts that are publicly available), his Separation document does indeed list two relevant battle stars — one on his American Theater ribbon and one on his American Defense (pre-US entry into WWII) ribbon. The odd thing however, is that there isn’t any other service (other than the above PC-815 incident) in Moulton’s record which would account for his having received either of those two stars. So it seems that Moulton may have indeed been correct that he was awarded those two battle stars by the Navy Department as a result of the PC-815’s (controversial) submarine incident in mid-1943. And while Moulton’s testimony doesn’t necessarily prove that the PC-815 did in fact damage or sink Japanese submarines off the Portland coast, it does seem to show that (a) the US Navy at the time wasn’t entirely sure whether Japanese submarines were present, damaged and/or sunk (despite the official report), and (b) as noted above, Hubbard’s official US Navy Separation document appears, once again, to be incomplete. And so what appear to be battle stars on the ribbons on Hubbard’s uniform (in the photo which you point out) do seem to add to the evidence that Hubbard was awarded these stars as a result of the PC-815 incident. And it also appears to provide additional support for the inaccuracy of the official version of Hubbard’s Separation document. Thanks for reminding me of those stars in the photo. Critics in the past have seen them too, but haven’t had very credible explanations for them, imho. I will likely add a section to the paper in the future discussing these points, once I’ve done a bit more research on the overall medals/awards issue. Clearly a lot of effort required to put this all together. Thanks Terril. It was a lot of work, but it also gave me an excuse to do some traveling, which I really enjoy. One of these days I want to go to the National Archives in Australia and see what I can dig up there! Thank you for this research – I found the research on his injuries particularly fascinating and am now convinced that he did heal himself. This, to myself, is the most important part of the research done. The arguments about his rank are of secondary importance. Naval ranks are often confusing to those used to Army and Air-force ranks. Being seconded to Australian Army could have created an “equivalent rank confusion” in which he needed the rank of Lt commander (G2 rank) to communicate with Australian staff officers. However In the photograph shown he is decidedly a naval Lieutenant and not a Lieutenant Commander. “Counter Intelligence” usually means directly taking part in action and I am pleased this was pointed out as some have tried to denigrate his role as an intelligence officer as being a desk jockey. Thank you once again for your research. Thanks for the observations Martin, and glad the research was helpful. Yes, he was a Lieutenant throughout WWII, but in 1947/48, he was promoted to Lt. Commander effective Oct. 1945. So any photos of him in his uniform during WWII, he would have been a Lieutenant. First, thank you to Terril who posted the link, and to those who read the article and responded. All of your comments and acknowledgements are appreciated, and there were a couple specific criticisms which I though were quite good and had substantive arguments. As a result, I’m likely going to add a bit of clarification and revision in the article. There were a couple of readers (AnonyMary and Student of Trinity) who questioned whether Hubbard had ever been promoted to Lt. Commander, which I pointed out in the “ACCURACY” section of the article. The 1947 letter retroactively appointed Hubbard as temporary Lt. Commander effective 3-Oct-1945. The appointment was then made permanent by authority of a Secretary of the Navy letter dated 3-Jun-1948, as notated in the far right column of the Officer Precedence Record (ala the “Promotion History Card”). The Secretary of the Navy letter is unfortunately missing from Hubbard’s service record. There are in fact several promotion-related documents from Hubbard’s service file that are missing, most noticeably the all-important swearing-in document that an officer receives when he is promoted in rank. When Hubbard was sworn in to be a full Lieutenant (mid-1942), the swearing-in document was created (mentioned in his service file), but it got misplaced somewhere along the line and today no longer exists in his service record. Mistakes in later years which summarized his ultimate rank are understandable; many promotion-related documents such as these are missing. With regard to why Hubbard did not start referring to himself as Lt. Commander after the 1947 letter was sent to him, one speculation (Chris Owen’s) was that because the Navy did not have Hubbard’s current address at the time, the letter promoting Hubbard to Lt. Commander probably never reached him. In fact, the address that the Navy had was Jack Parson’s old mansion (1003 Orange Grove Blvd.) in Pasadena, CA, and it had been demolished in the summer/fall of 1946. So in all likelihood, the letter either was returned to the sender (the Navy) or got lost in the mail. Since there appears to be some confusion on this Lt. Commander promotion point, I’ll create a footnote in the article providing a copy of the 25-Jun-1947 letter which temporarily appoints Hubbard to Lt. Commander retroactive from 3-Oct-1945. Both Mick Wenlock and Peter Soderquist made some good points about Hubbard’s return to the US from the South Pacific. It is very true that we do not know where Hubbard picked up the Clipper plane on his return to the US, as the records for its original departure date and departure location have not been found (at least not in the US National Archives). 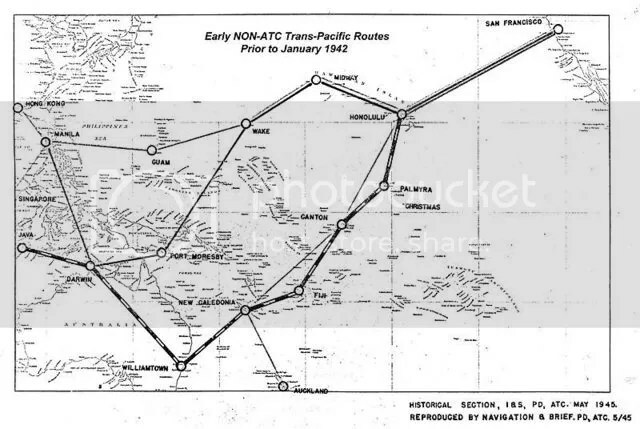 There are plane manifests which show that the Philippine Clippers were transporting diplomats from Australia in mid-March 1942 to San Francisco, but only about 5-10% of these manifests were preserved. These records also unfortunately do not show us where passengers such as these diplomats were boarding these planes (especially in early 1942, while Japanese hostility had caused normal plane routes to be altered). I do think that because Hubbard’s service record implies that he left Australia on the M/S PENNANT, it is certainly likely that he first took the PENNANT to one of the islands (most likely New Caledonia, off the eastern coast of Australia), and boarded the Clipper plane there. There is some evidence which suggests that Hubbard may have been in Australia as late as mid-March however (and the PENNANT is known to have left on March-9), but until this evidence is better studied and understood, it is certainly reasonable to assume that Hubbard used the PENNANT to get to the Clipper on an island such as New Caledonia. For that reason, I will update my article in this area. For the historically curious, a combination ship-plane return would be consistent with known routes of other Navy officers who returned to the US by plane as well, as evidenced in Admiral Hart’s return from the South Pacific to the US in mid-March 1942 taking the Africa-Atlantic route. It is true that I’m planning on doing more research into these and other areas of Hubbard’s Naval career in the months ahead. I was in fact going to spend some time in DC this Spring … but the “sequestration” has unfortunately temporarily shut down a couple of the research facilities that I wanted to go to. So it will have to wait. If anyone has questions on any of the above, or felt that other areas/comments should have been addressed, please do not hesitate to post here. Until everyone had access to a PC, War records were kept by hand and there were no central data bases that held all the records of one person. However what Armstrong had on record was propagated as fact. I was looking at WIKI where it is possible to edit it the contents by introducing your findings.. So called research by others simply involved a little more than cut and paste or ignoring other routes. I a looking forward to reading your book. No doubt the UK’s British Brainwashing Corporation (BBC) will not promote one word of this book if you do publish it. I think in general, service records from WW II (in any veteran’s file) even today, are prone to being only part of the full picture. And when there are significant gaps or conflicting records (as in Hubbard’s record), it creates even more fertile ground to discredit someone, if that is one’s goal. I may eventually get these findings from the website into a book. But there are still a few research loose ends that I’d like to dig into a bit more. So the website will have to do for now. Thank you for your comment. Margaret, your research conclusively fails to show any evidence whatsoever of Hubbard having any types of security clearances — classified, secret, top secret — or any type of clearance. To be an intelligence officer (as opposed to merely working in the Intelligence section as a writer, a mail censor, or other posts non-classified positions requires clearances. There is no evidence that LRH was ever cleared to do even low-level classified work. Furthermore, Hubbard himself never claimed to have had any security clearances. Indeed, Hubbard later declared anyone who had ever had US Govt security clearances to be illegal preclears. Hubbard’s antagonism to security clearances is widely known in Scientology. Furthermore, Hubbard never attended any US Navy schools in cryptography or decryptography. Absent encrypt-decrypt skills and security clearances, Hubbard would have been useless as an Intelligence Officer in Australia or anywhere else. Hubbard appears to be nothing more than a mail censor – a skill he would later employ against Sea Org members whose mail is censored. Your view that Hubbard was flown home in an airplane is not supported by any actual evidence. You offer a card showing a date when the Philippine Clipper (tail number NC14715) landed at the Pan Am facility in San Francisco. This is not any type of evidence and is rather a supposition on your part based on assertions of the speed of ships of that period. Furthermore, had Hubbard been wounded in combat — which he was not — the Pan Am Clippers were not medical aircraft and were not outfitted to carry wounded personnel. The Australian Army had troops and five medical dispensaries in Brisbane in 1942. If Hubbard had been wounded he could have been treated there or placed aboard a US Naval ship with a dispensary. There was no military necessity to rush Hubbard back to San Francisco to receive hospitalization for something as minor as conjunctivitis. Hubbard could have been sent to Pearl Harbor for treatment in a US Naval hospital. Hubbard was also not shown in as being the medical dispensary of the USS New Orleans. In any case, if Hubbard had been with ONI, he would have sent any message to traffic to Pearl Harbor via radio transmission using encrypted Naval cypher. The USS New Orleans does not record Hubbard as using its encrypt-decrypt facilities, and, Hubbard had no clearances to do so. Hubbard was never cleared to look at the US Naval cypher or to access encrypt-decrypt equipment or facilities. One more thing: Hubbard was not ONI sent in to break up a Black Magick ring in Pasadena. He was rather a member of the free love community and slept with Sara Northrup before they were married. He also took Jack Parson’s money and went off to Florida to spend it. Parsons got a court order to stop Hubbard. Real secret agents don’t depart their duty stations to run off with a woman and purchase yachts in Florida. The whole story of Hubbard and ONI is complete nonsense and has always been complete nonsense. Hi J. Swift, Good to have you participating. You appear to be applying post-WW II security clearance terms and ideas, to a time (1941/1942) when no such things were as formalized as they eventually became. We do know that Hubbard received intelligence training in NY in the Fall of 1941, but the contents of that training is unknown. Considering that Hubbard was being assigned to the Philippines while an officer in Naval intelligence, it is certainly reasonable to expect that he received some basic training in cryptography. But at this time at least, we don’t know for sure. Not a supposition at all. I provided references which show the reality of how long it took for fast ships — not in convoy, and not making any stops — to travel across the Pacific in early 1942, using the case of the POLK in 1941/1942. I also made a significant effort to try to find Hubbard on a ship, any ship, on his way back to the US — to no avail. But given the time frame of his travel, and the existing flight records, the only logical and possible conclusion was that he was flown home. Hubbard seems to have been put on a plane due to urgency related reasons having more to do with intelligence, than medical reasons. His own statements that he had “some important dispatches” seems to be the only clue we have to go on as to the reason that he was flown home. See above regarding the likely reason for the plane. Hubbard’s eye injury was a serious one, which I go into in some detail in the article. While it was not likely the primary reason that he was sent home on a plane, we do know that it was fairly serious due to its duration. Actinic conjuncitivitis (the UV caused eye injury, which Hubbard was diagnosed with) typically heals in a day or two. If it lasts longer than that (which it certainly did in Hubbard’s case), then it’s a clear sign that the source of the UV was more severe (as from an explosion, for example), and damaged the inner layer of the cornea. If the symptoms go away in a day or two, then it means that the damage was only done to the outer layer of the cornea (see references at the site). In Hubbard’s case, according to his medical records, he was still showing symptoms of the eye injury months and years later. And then of course was eventually given a quarter of his VA disability due to the eye injury. Though we have no direct evidence of how he injured his eyes (and broke/sprained his foot), considering that there is now documentary evidence that he was sent to a combat area (Darwin in northern Australia) on a date that we know the Japanese attacked, and these injuries are also mentioned in his Navy medical records, I think we’re on pretty solid ground in concluding that he likely suffered his injuries in combat or a combat-related situation (e.g. either while in Darwin and/or from being on a raft at sea for multiple days, escaping Java). I think the connection to intelligence may have more to do with Communist concerns in those days, than a “Black Magick ring”. Specifically, Robert Cornog, who had been involved with the Manhattan Project (and later was accused of being a communist spy by the US Gov), was living at Parsons’ mansion when Hubbard moved in. Parsons himself was also very close friends with several “card carrying communists” (one specifically, named Frank Malina, was working with Parsons for many years on rocket research and lived nearby). I think it’s within the realm of possibility that Hubbard was there (at least partly) to investigate this communism concern, and determine Cornog’s and others’ communistic leanings. It’s also possible that Hubbard wasn’t doing this as some kind of formal assignment, but informally. But I do agree that until any real evidence of this is ever found, it’s all conjecture. Yes indeed. Guilty as charged. And he spent his own money too. They had started a business enterprise together, and Parsons put up most of the money, Hubbard put in about 10% of the capital and then got busy carrying out their plan of buying and selling yachts. Yes, after Crowley interjected himself into it. Had Crowley not done so, Hubbard and Parsons would likely have continued along fine. Hubbard and Betty would have finished buying the yachts in Miami, finished hiring the crews, and then continued onto the Panama Canal and sailed up to the coast to southern California — just as Hubbard and Parsons had planned and agreed. And they probably would have made a boatload (no pun intended), selling the yachts at a premium to the wealthy Hollywood elite. Margaret, I appreciate both your earnestness and your research. Nevertheless, I take exception with your thesis. 1. Pre-WWII and WWII Clearances – See: G2, Black Chamber, SIS, Signal Corps, COMINT, SIGINT, NRL, and S2 for pre-WWII and WWII security classifications. There were security clearances for personnel and classifications for documents and radio transmissions. The US had a well established intelligence apparatus in place at the start of WWII. True, it had not broken the enigma-based Japanese Purple code, but the US Navy codebreakers @ Pearl Harbor did break the Japanese Naval code at Midway — and this while transmitting its unbroken code to the US Naval Task Force 16 and the US Naval Base at Midway in late May/early June 1942. 2. Background: L. Ron Hubbard Hubbard worked a typewriter until he went active duty USN on 22 Sept 1942. Hubbard received a commission and did not go through Officer’s Training School or any type of combat or weapons training. In particular, Hubbard had no amphibious warfare or jungle survival training. Hubbard worked in hyrdrographic surveys. He was not a combat soldier and had no special background training, no special skills, and only spoke English. Note: Records for President Polk 1941-1942 missing at Fold. Other records are missing as well. The site is nevertheless an excellent resource. 4. February 17, 1942: Telegram from US Naval Attaché Australia,: LIEUT. (JG) L.R. HUBBARD IVS USNR ORDERED RETURN US VIA [USS] CHAUMONT AND REPORT TO COM 12 [the 12th Naval District, San Francisco]. HE IS UNSATISFACTORY FOR ANY AVAILABLE ASSIGNMENT HERE. VIA PRESIDENT COOLIDGE, A REPORT MAILED. •	Hubbard is in Brisbane as of February 17 creating problems for senior commanders. •	Distance by air (shortest distance) from Queensland to Surabaya – 2022 nautical miles (3357 km). •	Why would the ABCD forces on Java (ANZO, British, Canadian, Dutch) need L. Ron Hubbard for anything? Why would the Allied forces use badly needed fuel to transport Hubbard 2022 nm miles when he has no known skills they need or want? •	ABCD on Java forces are already providing intel on Japanese dispositions and have a spy network using indigenous embedded agents. ABCD forces have radio to communicate instantly to Queensland for relay to Pearl Harbor, DC, and London. Anything urgent goes by radio. •	Battle of Java Sea – February 27, 1942. •	Battle of Java – February 28, 1942 – March 12, 1942. In context, why are we to believe that a militarily-untrained red-headed typewriter jockey, a guy who has been on active duty for only five months, had to be landed in the middle of war zone at the risk of the USS Edsall and its crew? This question is particularly crucial given the fact that the Allies already had forces on Java and had an existing spy network. Any militarily important documents of significant to the US Navy would have been sent directly to Admiral Nimitz and his staff at Pearl Harbor on a plane. There would have been no need for low-ranking mail clerk L. Ron Hubbard to bypass the chain of command by going to SF. If Hubbard had been wounded he could have been sent to the Brisbane General Hospital as were other Americans at that time. “Most of the guys that were shipped out of there who had been wounded, were shipped out by slow boat. And I didn’t, I wasn’t that seriously done in. I hooked a ride on the Secretary of the Navy’s plane; produced the right set of orders (I hope nobody ever kept them on file) and got flown home.” – Hubbard, L. Ron (1956-02-07). The Game of Life (Exteriorization and Havingness). Los Angeles, CA: Golden Era Productions. L. Ron Hubbard was never anything more than a low level mail clerk in US Intelligence in Brisbane. If he was flown home, and this has yet to be conclusively proven, then he did so at the expense of the wounded and of senior commanders. Worse, Hubbard was sick with a fever when he landed in SF. This means he selfishly exposed an entire aircrew and passengers to his illness for the 30+ hour trip home. L. Ron Hubbard’s plane trip home does not prove his importance but rather confirms his lifetime of dishonesty. lying, and self-serving behavior. The Church of Scientology is a direct reflection of this same conduct. Margaret a correction: Hubbard entered active duty 22 Sept 1941 — I had it as 1942. Thanks for the comments J. Swift, and the NATS schedule. Do you have the origin/site of that document? I’d like to see what else might be there. I’ve done quite a bit of research into NATS, but never found any manifests (passenger lists). At least not for the first few months of 1942 (when it was in its infancy in Australia), which is the time period in question. Getting those — if they exist — may help us in resolving some of these outstanding questions of a possible trip to Java by Hubbard. There are still several additional places to research (in person) in DC and maybe Australia, and I want to eventually get to them. Yes, there was quite a lot of chaos and disarray following Pearl Harbor. In fact, until MacArthur was rescued from the Philippines and brought to Australia in mid-March 1942, a lot of what was happening in Australia was somewhat ad hoc. The US Army had only just arrived there in the last half of December 1941, not because they had planned to be in Australia, but because they were trying to get themselves and US planes (and their support crews) to the Philippines, where the main US bases (Army and Navy) had been located in the region. Also, most of the planes’ pilots had been sent separately to the Philippines (just prior to Pearl Harbor), and so the urgency to get these planes assembled and up to the Philippines was extreme. As the Japanese advanced, however, getting these planes (and the support crews) that far north never happened. And the primary battlegrounds (for those planes at least) became Java, other neighboring islands, and to some degree northern Australia. The whole thing was quite a saga, with many allied setbacks. There’s an excellently researched book written on this whole period (“Everyday a Nightmare: American Pursuit Pilots in the Defense of Java, 1941-1942” by William Bartsch), which I reference at the website. It also provides excellent detail on the whereabouts of the USS POLK — Hubbard’s ship to Australia — in late 1941 and early 1942. With regard to Hubbard himself, when he boarded the POLK, his orders were to report to the US Naval District in the Philippines. And when the POLK arrived in Australia, the idea was that this would just be a way stop and he would eventually make his way to the Philippines. But the landscape of the war was changing, and Japan was advancing southward, and with the regional command of the US Navy having moved their headquarters from the Philippines to Java in the second half of December (and the route to the Philippines from Australia effectively now cut off due to Japanese incursions) Hubbard needed new orders — which was one of the first things he tried to get when he arrived in Brisbane. J. Swift, you asked “why would Hubbard be sent to Java”? I guess the simple answer is: the same reason he was being sent to the Philippines. 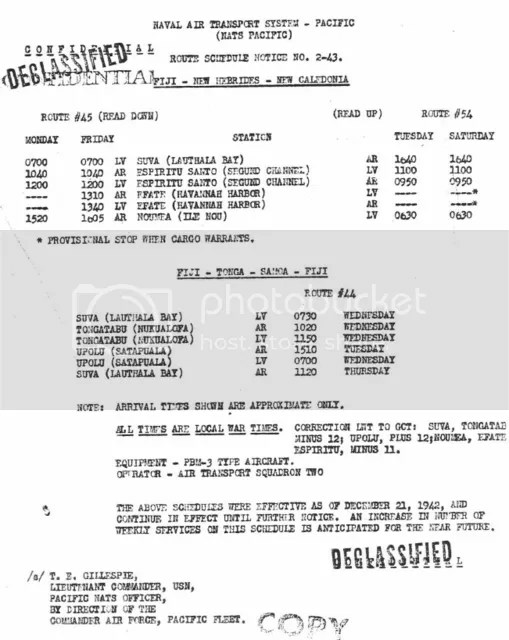 We don’t know what Hubbard’s duties were going to be in the Philippines, but it’s reasonable to conclude that given his training as an Intelligence officer, the reasons to send him to Java (if he was in fact sent) would have been the same as the reasons to send him earlier to the Philippines. It is true that he butted heads with another US Navy officer (Cmdr Causey, the US Naval Attache) based in Melbourne. But as I pointed out at the website, the evidence suggests that this had more to do with office politics than anything with merit. Hubbard’s role in Brisbane (at least for the time that he was attached to the Army’s Base Section #3) was Naval Liaison Officer/Naval Observer in Brisbane. And from all indications, the Army Colonel overseeing Base Section #3 (Johnson), who seems to have worked with Hubbard on a daily basis, held Hubbard in very high regard. Further, the positions Naval Liaison Officer/Naval Observer are fairly senior positions. But in fairness, Hubbard probably wouldn’t have been given these roles if there was a larger pool of experienced officers to choose from. Hubbard was a newbie in the world of the US Navy, and although he had been surrounded by quite a bit of “Navy” all his life, had been in the Montana National Guard and moved rapidly up in rank in the US Marine Corps in his college years, Hubbard really didn’t have any direct, real-world Navy experience — certainly not the level of experience that a career (or even multi-year) Navy officer would have had at that stage. But since Hubbard was one of the few Naval officers available at the time (in that location), he was given this more senior role. Perhaps, but please note that in Hubbard’s service record, it mentions that he came to San Francisco via Honolulu (planes in those days couldn’t make the entire Pacific trip, without stopping at various islands along the way). Did Hubbard hand over the important documents to Nimitz, or someone else? Possibly. But with ONI’s closest HQ being San Francisco, it’s more likely they were handed over to someone there. But without knowing the contents of the documents, it’s a little hard to know. Margaret, you haven’t conclusively established that Hubbard flew anywhere. What you have established is that he is not on the passengers lists of two particular ships. It is possible that Hubbard flew, but this can only be a conjecture in the absence of proof. And who knows? 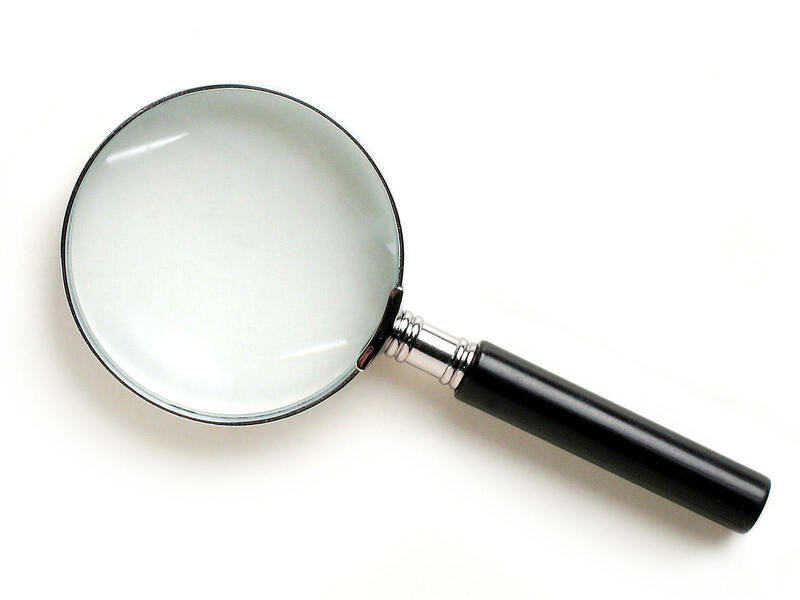 You may indeed find proof as your research intensifies into related areas. Your research is certainly interesting. Here is how I see it at this point: It is one thing for Hubbard to say he wrote himself some orders to get a plane ride back to the States; it is quite another thing for Hubbard to claim he was “returned home as the first casualty of the war” or to claim he was an ONI secret agent. Hubbard was assigned to the 12th Naval District Intelligence Dept as a low-ranking cable censor. Hard evidence would be needed to prove he was ever anything more than a cable censor. Margaret, for the sake of argument, let’s say Hubbard wrote himself some orders to get a plane ride home. That is a standalone action. To therefore argue that the plane ride proves that Hubbard was carrying important documents is to invoke a non sequitur. Hubbard getting himself a plane ride proves only that he was a mere opportunist who found a way to skip a long slow boat ride back to the US. The head of the Far East section of ONI in 1941 was Lieutenant Commander Arthur H. McCollum who wrote the controversial “McCollum Memo” in 1940. From Wiki on McCollum: “From Nov. 1942 to May 1945 he held 3 titles simultaneously director of Allied Naval Intelligence, Southwest Pacific; assistant chief of staff for Intelligence, Seventh Fleet; and commanding officer of the Seventh Fleet Intelligence Center.” L. Ron Hubbard is nowhere on McCollum’s lines in WWII. In fact, upon Hubbard’s return to SF on 29 March 42 he acts in no “Intelligence” capacity until he takes a three month Military Government course at Princeton, this after two undistinguished and very brief commands of two coastal patrol vessels. In WWII cryptanalysis and sigint were crucial. Claiming that Hubbard had some sort of urgent paper documents makes no sense for the simple reason there is no proof. Even if you do prove the flight that does alone does not make Hubbard a secret agent. Hubbard was not cleared or authorized to courier classified documents. He had been active duty only about six months when he returned to SF, by apparently indeterminate means, on 29 March 1942. ONI is not going to allow a low-ranking and inexperienced lieutenant jg to courier anything except coffee. The contents of any documents that were time sensitive could have easily been relayed via encrypted radio to Pearl Harbor. There would be no need to put Hubbard on a 39 hour plane ride from Brisbane to Pearl Harbor, a distance of 4700 nm (7564 km). I think it’s pretty well established now that Hubbard flew into San Francisco on March 23, 1942. We have clear documentation that he was in Brisbane as late as March 8 (possibly later), and we know for a fact that he was in SF on March 23. The ships (even the fast ones) in early 1942 simply didn’t travel that fast — even when they were rushing and not in convoy. We also have PanAm records which show that the specific plane that landed on March 23 in SF would have come through Honolulu, and would have originated in or around Australia. We have records which show that Hubbard would have had the ability and connections to call into the Office of the Secretary of the Navy, to be given orders (verbal or written) to get on a plane and fly home. All of this is in addition to the fact that he has not been found on any ship which arrived into SF (or any port in the US) in early 1942. At a certain point, the conclusion is inescapable: Hubbard was flown home. Other than “…the first…” part, both of these statements are likely true. We know that he was a casualty from the South Pacific who suffered eye and foot injuries likely as a result of combat-related activities (according to his Navy medical records). And we also know that he appears to have gotten (and been suffering from) malaria in the South Pacific when he arrived into SF. This is also confirmed in his Navy medical records. We know that he was flown home, and we also know that he had the connections in Washington to get ordered by someone from the Secretary of the Navy’s office (if not the Secretary himself) to be put on a plane. If you’re taking issue with his calling himself “the FIRST casualty returned home” … then you’d probably be correct. Hubbard was more likely *one of the first* casualties sent home from the South Pacific. If you’re upset that Hubbard may have been given verbal orders, and so there is no written record of it, well, other records show that verbal orders did occur during this time period in this location. I provided a reference at the website. As to the REASON that Hubbard was flown home, I certainly agree that we haven’t established this conclusively yet. As I’ve said, it seems the only clue we currently have to go on is Hubbard’s statement that he was carrying “some important despatches”. Though I agree that it was rare for newbie junior officers (such as a Lt-jg or an Ensign) to be put on a plane and/or sent on Intelligence missions, at this early stage of the war especially (when ranks were still thin), I think it’s understandable why he may have been ordered to do so. If you are referring to Hubbard’s role in Brisbane, we know from the Note made in the USS NEW ORLEANS log that Hubbard was listed as the Naval Observer. There are also several documents in the military records of the National Archives which list Hubbard as the Naval Liaison Officer attached to the US Army’s Base Section #3. I have produced a declassified NATS card and suggest you investigate NATS and pre-NATS/Pan Am records. Until then, Hubbard’s theorized flight is not proven by any means; it is an inference on your part. And, Hubbard taking a plane ride does not make him a secret agent. You can and should speculate to your heart’s delight but please allow me to offer this: If a man as connected as Colonel Prouty couldn’t find the evidence then there is no evidence to be found. Hubbard never made it to Manila to be attached to the Asiatic Fleet due to the fall of Manila to the Japanese. This is why the pink “Report On The Fitness of Officers” card was erased — Hubbard never served in this capacity. The US Navy accurately corrected Hubbard’s record to reflect this fact; there is nothing sinister in the erasure. Because Hubbard did not get to Manila and the Asiatic Fleet, the US Navy had to do something with him. This explains why he was, on an ad hoc basis, attached to the US Naval Attache in Brisbane. On this document Hubbard is listed as a Naval Liaison Officer and not a Naval Observer. Aside from whatever Hubbard told a Navy doctor, there are no records for Hubbard being wounded in combat let alone ever fighting in combat. A twisted ankle and eyestrain? Please! Those are not combat injuries. As to Hubbard’s eyesight: Hubbard’s poor eyesight prevented him from even taking the entrance exams for the Annapolis Naval Academy in 1930. Hubbard had bad eyesight in 1930. His bad eyesight in 1942 is consistent with his bad eyesight in 1930. My suggestion assumes you are not working from a banned IP. You’re engaging in circular arguments J. Swift. The entirety of the evidence shows fairly conclusively that Hubbard was flown home, just as he claimed. I’m sorry you’re having a hard time accepting this fact. That would be the erasure of “Combat Intelligence Officer, Asiatic Fleet” from his Officer Fitness Report. So think about what you’re saying. You’re argument is that Hubbard was originally being sent to Manila to be a combat intelligence officer for the Asiatic Fleet, but because the record of this was erased, we can conclude that Hubbard wasn’t really a combat intelligence officer in Australia and/or Java. Do you think there was something special about Australia/Java that would have prevented Hubbard from carrying out his original assignment (using your argument) of being a Combat Intelligence Officer? I mean, if those were *actually* his orders, why wouldn’t he attempt to carry them out in Java, where the US Navy had been moved from Manila? Regarding Hubbard’s eye injury, you’re conflating his failing eyesight (for which he didn’t get any VA benefits) with his actual eye injury — which was serious enough to garner a quarter of his 40% disability. I’d suggest you re-read my comment above, and the INJURIES section of the website to familiarize yourself with the difference between the two. And no, no banned IP here. I leave those to Church members and Chris Owen. Also, I would guess that many people avoid wikipedia as a source of reliable information on controversial subjects, as I do. So I’ll just publish my research at my website for now. But thanks for the vote of confidence. Margaret, you are doing nothing but TR3’ing here (repeating the command) that Hubbard flew home and was a war hero. You have failed to conclusively establish anything with evidence. You have a theory that you want to up-engineer into Hubbard being a war hero. As you seem unable or unwilling to accept the fact that LRH was a proven liar on many topics, I look forward to your next website: L. Ron Hubbard Nuclear Physicist. Your evidence here is neither exhaustive nor conclusive. I have evidence you do not have and don’t even appear to even know exists. I produced a declassified NATS schedule to make that point. As for Hubbard’s eye injury: Hubbard was reading the medical texts at Oak Knoll while claiming later to Dianetics readers that he was crippled and blind in this period. Hubbard was driving a car and attending writer’s meetings in this period. Moreover, he was sexually active with several women at Jack Parson’s occult free love community after he left Oak Knoll and drove his car 350+ miles from Oakland to Pasadena. Quite a feat for a blind guy. I will produce my evidence on this section of Hubbard’s life at a time and place of my choosing, perhaps even in an international film or television piece. Your blog is not the right place to present my information. Hubbard would have been reading texts while suffering from chronic actinic conjunctivitis (a UV caused eye injury), three years after something “blinded” him in the South Pacific, where he also broke or sprained his right foot — all documented in his Navy medical records. From 1945-1948, doctors describe him as “lame” and “walking with a hobble-like gait”, witnesses describe him as using a cane, and friends describe him as “wounded” and “injured”. The VA ultimately gave him 40% service-related disability, with a quarter of it for the eye injury, another quarter for the ulcer, and half for the resultant bursitis and arthritis. As mentioned, this is all documented in Hubbard’s service records. Hubbard wasn’t lying comatose in a hospital bed, J. Swift. Hubbard was wearing tinted glasses because of the eye injury, and occasionally used a cane to walk. This didn’t mean he couldn’t see, and it didn’t mean he couldn’t walk or drive. J. Swift, I’m not competing with you. I encourage you to not only confirm for yourself the evidence I’ve presented, but to do your own independent research into NATS or any area that you feel needs it. Thanks for the kind words, and hope your old roommate finds it useful. Margaret, from someone who has a great deal of admiration for the “Ole Man”. Thanks for the stellar work you have done!! Thanks George, glad you found it helpful. Very good researching Margaret. Hope you can find some more missing pieces of the puzzle.